This is the second year running for Michael Bremner’s 64 Degrees to scoop first place in the BRAVO awards. Watch our quick fire Q & A with Michael below. Michael Bremner was born in Aberdeenshire, Scotland in 1978. He remained in Aberdeenshire to study one day per week while working as an apprentice at The Pittodrie House Hotel for five years. Once qualified he moved to London to further his experience in pastry by working as a Demi-Chef de Partie at the Michelin starred Orrery Restaurant. 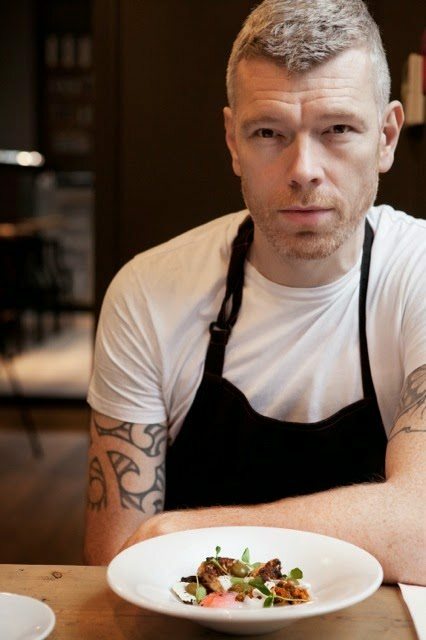 Following this he moved to Seven in Leicester Square to take up a Chef de Partie position before progressing to Head Pastry Chef at Marco Pierre White’s Quo Vadis, working for a year under Head Chef Curtis Stone. Michael then packed his bags and spent a year travelling around Australia, working at various kitchens in Melbourne, Sydney and (his favourite destination) Airlie Beach to name a few. It was on his return to the UK when Michael first based himself in Brighton. He spent three years working at Seattle Hotel at Brighton Marina under Steve Dray as a Sous Chef from 2003, before jet setting again – this time to Canada. During his time in Canada, as well as snowboarding out on the slopes, Michael worked in the kitchen at the Pan Pacific Hotel, Whistler; a venue that at the time was awarded with the prestigious title of No. 1 Resort in the world by Conde Naste Traveller. 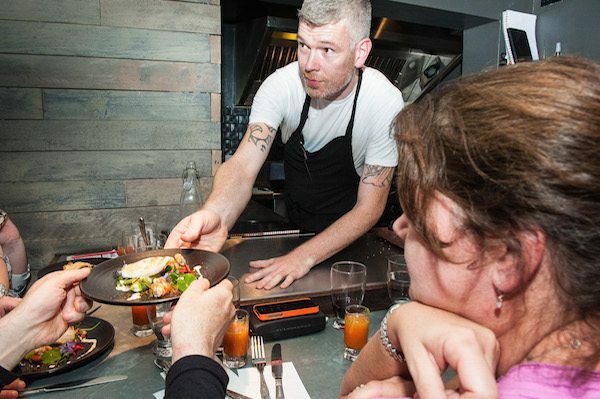 Following his time in Canada, Michael returned to Brighton in 2007 to take up the position of Head Chef in the popular seafront restaurant Due South. 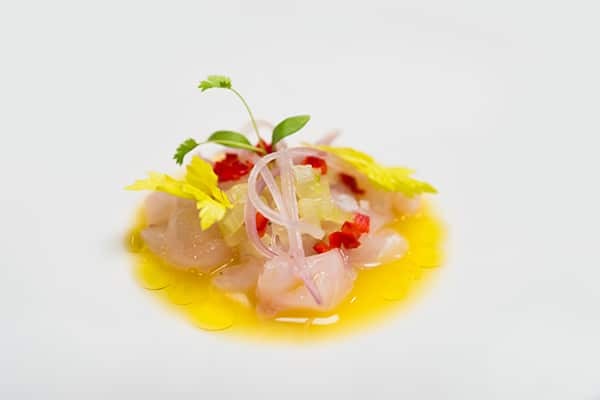 He remained in this position for five years, raising his profile in the South East by participating in such things as the Terra Madres Slow Food Expo in Italy, 2008. 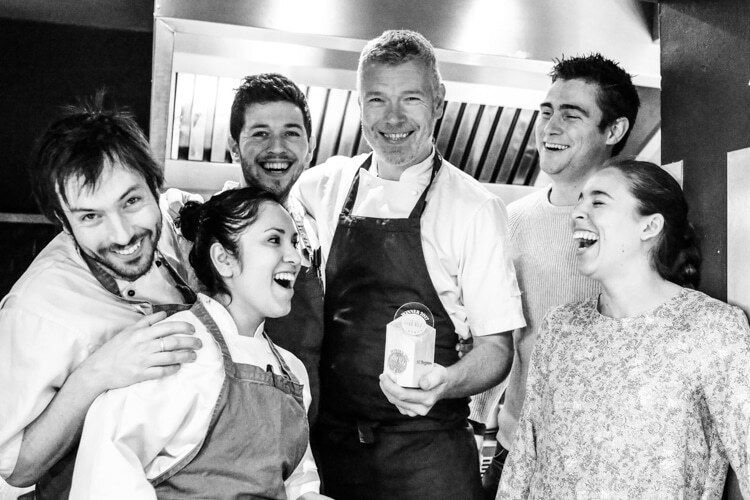 By the time he left Due South in 2012, Michael was making plans for his first business venture, but before he did this, he took on the position of Head Chef at renowned vegetarian restaurant, Food for Friends. 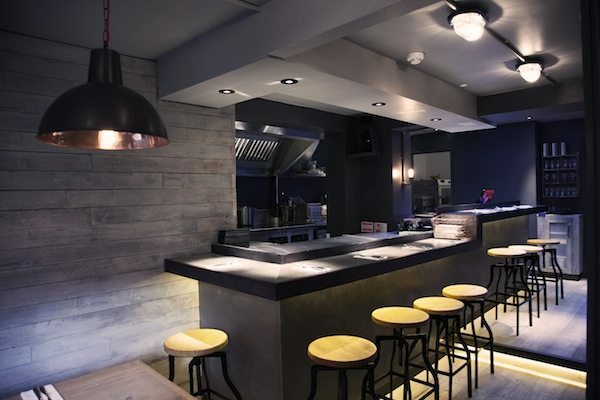 It was here where he was able to hone a perhaps previously unappreciated side to his skillset and address the growing realisation that a better vegetarian offering needs to be made in top restaurants. 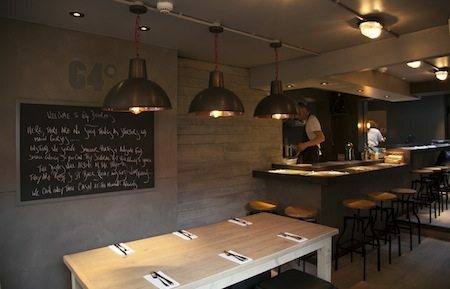 Following a weekend 64 Degrees pop-up Michael opened the doors to 64 Degrees in the Lanes of Brighton in October 2013. His aim was to create a restaurant focused on social dining, where people can order several plates to share. 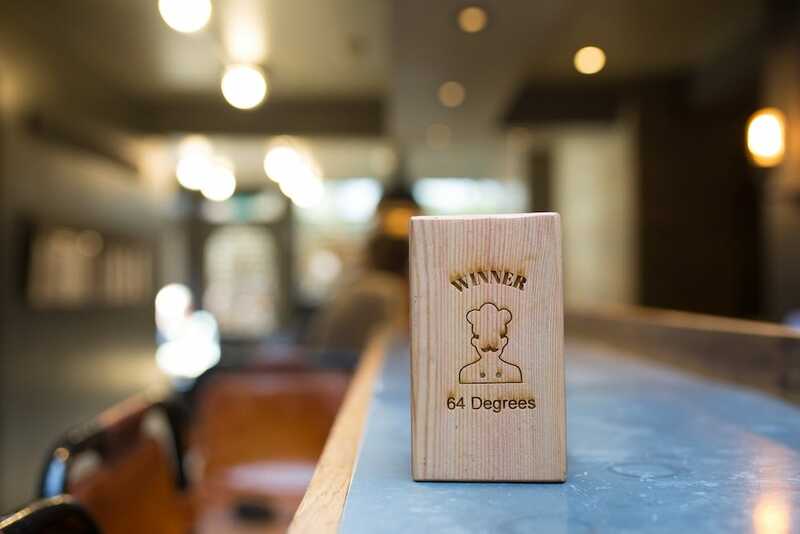 Being a chef through-and-through, 64 Degrees revolves massively around the food and the cooking – the main feature being the open kitchen filled with the latest gear; diners are encouraged to sit at the pass and watch the food be prepared right on front of them. The menu is ever-evolving, with the aim of being engaging, never stagnating, but most of all being accessible to everyone. 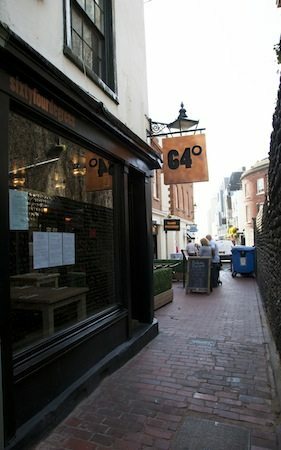 Since its opening, 64 Degrees has gone from strength to strength, winning Best Restaurant in the Brighton and Hove Food and Drink Awards in 2014 and 2015, Best Restaurant in the Brighton Top 20 Awards 2017 (where Michael also won Best Chef), and being voted number 36 in 2014 and 24 in 2015 in the National Restaurant Awards Top 100 List. For a full list of Michael’s accolades visit the 64 Degree’s website. 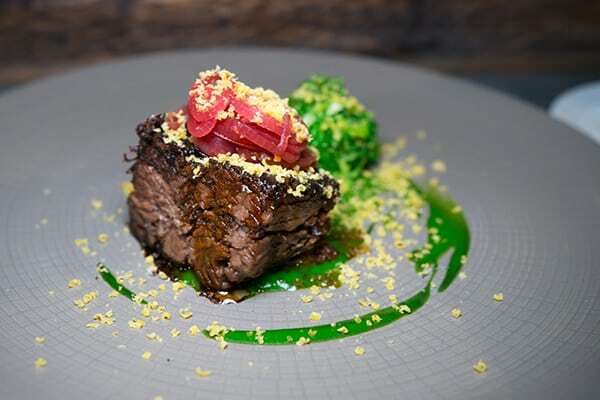 Michael is also well known for his appearances on the TV programme, Great British Menu, where he scored a perfect 10 when cooking for veteran judge Nathan Outlaw.